Portraits of Haji Baqar Ali. Each year during the month of Dhul Qadah, the annual congregation (Urs) of 19th-century Sufi saint widely popular as Shah Ji Mohammad Sher Miyan took place in the small city of Uttar Pradesh, Pilibhit. The main congregational prayers were held on 03rd to 05th Dhul Qadah. As common with all Urs and traditional fairs, one can find makeshift stalls of Halwa Paratha erected on road leading to the dargah. 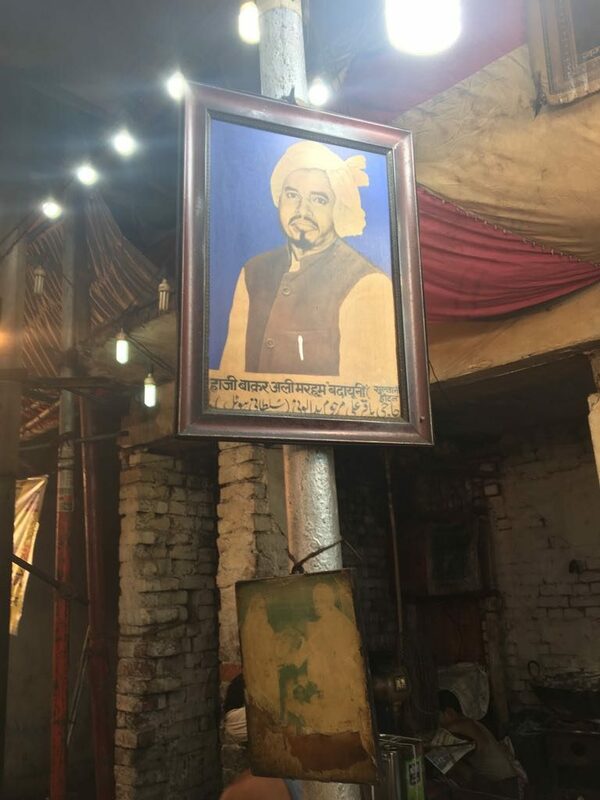 Last year while passing down the crowded street near the dargah, it was two old portraits hanging on the stall of ” Badayuni Halwa Paratha” that caught my attention for exploration. The first one is the portrait captioned in Urdu and Hindi introducing him as Late Haji Baqar Ali Badayuni. In the first portrait, the late Baqar has nicely wrapped a traditional white turban with a vest jacket (Sadri). The pen clipped to the front pocket of the vest reflected an impressive dressing style more of a writer than a Halwa Paratha shop owner. The second portrait was torn from the lower edge and almost faded. In this portrait, the Baqir was receiving an award from late Prime minister, Indira Gandhi. I made a request to the man sitting on the cash counter to parcel one packet of his calories loaded large size Paratha, and Halwa made up of Suji (Semolina). During the conversation, he told that Haji Baqar Ali was his grandfather who started to sold Halwa Paratha during Colonial days. The Halwa Paratha stall was named after his birthplace, Badayun. Badayun is the small city of Uttarpradesh located one hundred twenty-eight kilometers south-west of Pilibhit. It was once the mighty capital of Katehar Province during the reign of Mamluks and also the birthplace of the famous 13th-century Sufi of Central Asian origin, Hazrat Nizamuddin Awliya. 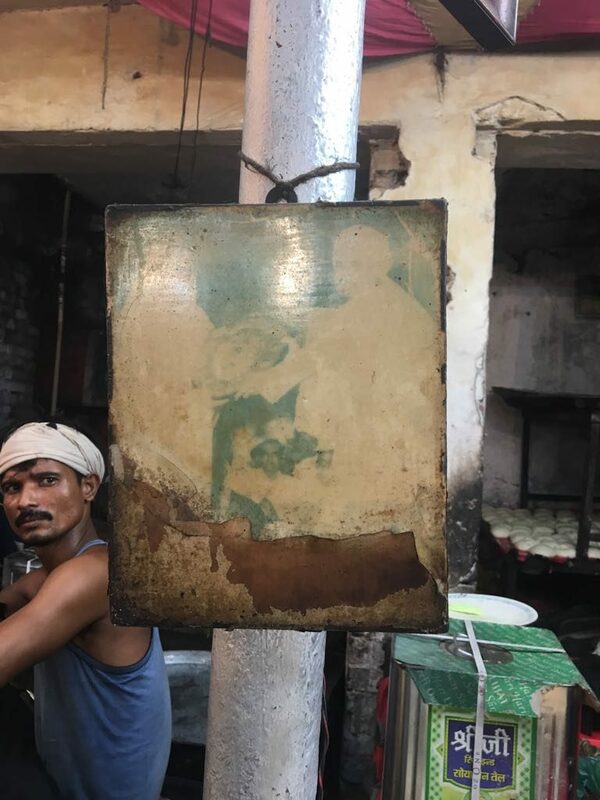 The torn and faded portrait of Haji Baqar Ali receiving the shield from late Prime minister Indira Gandhi with the live portrait of man frying large size parathas. 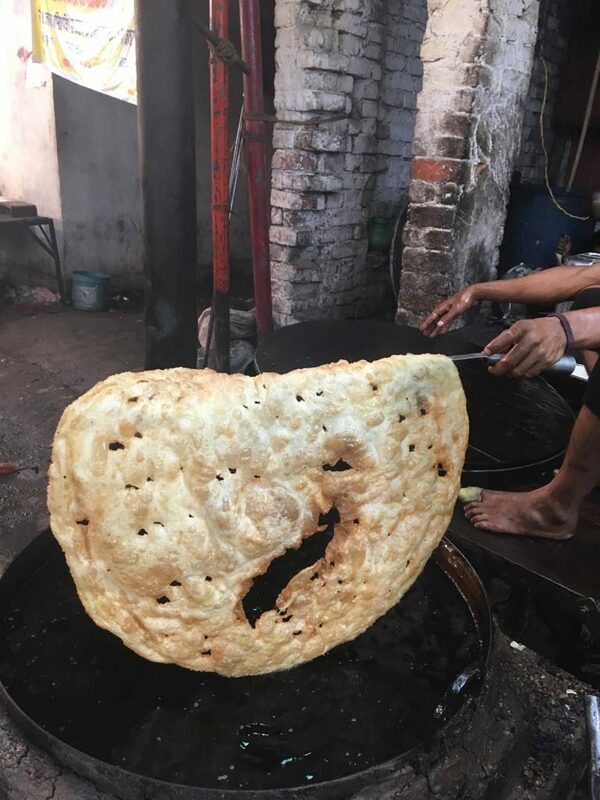 In the decade of the sixties and seventies, the Badayuni Halwa Paratha was a popular street food stall at Urs of Hazrat Nizamuddin and Hajj house near Turkman Gate at Delhi. In off times, he used to manage a hotel at Badayun named as Sultani Hotel. It was during this time, Haji Baqar Ali was also acknowledged by Late Prime minister, Indira Gandhi for serving his street food delicacy at syncretic Indian gatherings especially at Hazrat Nizamuddin Urs. For almost six decades, the man moved with his stall at the Urs (death anniversary) of Sufis like a wandering nomad. Haji Abdul Qadir passed away in mid-eighties at age of eighty-eight years. While recalling the old days, the grandson of Baqar Ali got melancholic. Grandson of Baqar Ali with his chef. In the present scenario, he is hardly able to manage expenses as the earnings are meager in comparison to the grandfather days. 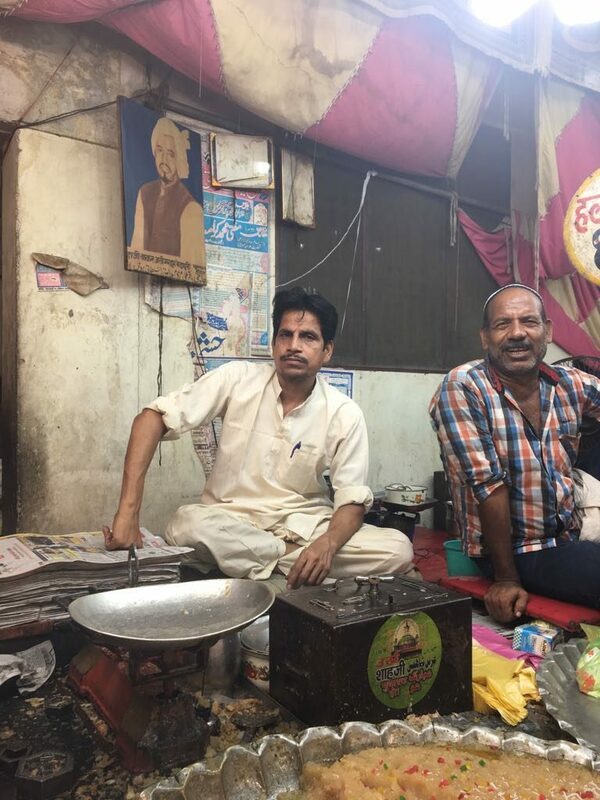 These two portraits and name of the stall “Badayun Halwa Parath” made his street food shop different from the several others. This seems to the prized possession of a grandson who is now taking care of Haji Baqar legacy.